Incredible Uttarakhand have cozily snuggled in the arms of the great Himalayas, the state of Uttarakhand has time and again been referred to as ‘Dev Bhumi’ or ‘The Land of Gods’. This accounts for the numberless Hindu and Buddhist lore associated with the very roots of its terrain whose astounding splendor reveals itself in all shades of nature – there is abundant greenery, a rare variety of wildlife and million floral hues and of course the pristine Himalayas. At the feet of these Himalayan heights lie the glaciers. Glaciers are ice in gradual motion and several sacred and life-giving rivers find their origin in them. According to the glacial formations, two of the five traditional divisions of the Himalayan range are found in Uttarakhand, namely Garhwal and Kumaon. The major glacial formations of Garhwal include Bandarpunch, Doonagiri, Khatling, Gangotri and the Nanda Devi cluster of glaciers, while Kumaon incorporates the Kaphni, Milam, Pindari and Ralam Glaciers. Mountaineering as an activity has been known to mankind since the first tryst with the mountains was made. Since time immemorial, sages and pilgrims have been drawn to these mountains because they provide not only serene sheds of solitude, but their very sight uplifts the spirit and makes it soar, fulfilling the longing for the Infinite that is both beyond and yet within the human soul. 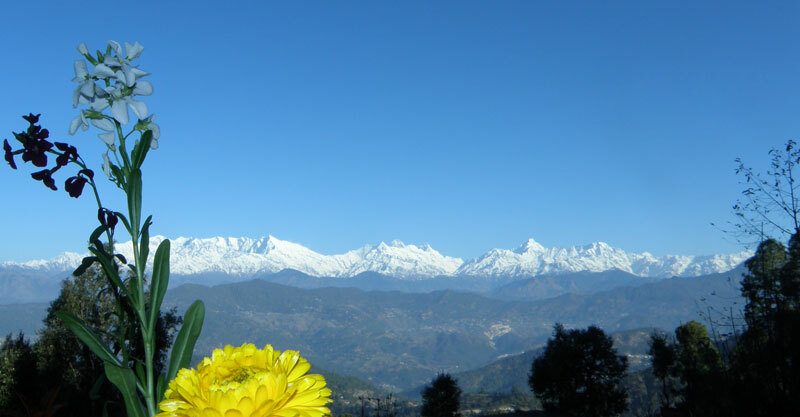 The Himalayan Mountains are no exception to this longing. Holiday-makers can make the most of these mountains, which are a playground for many an enjoyable holiday activity. Trekking, high altitude camping, mountain biking, rock climbing and skiing in the winter months are some of the many holiday activities offered, and the State Tourism Board is doing all it can to make Uttarakhand the adventure capital of the country. Nature-lovers and photographers can invigorate their passion with the plush flora and fauna of this kingdom of nature that boasts of thousands of species, some of which can only be found in this lap of the world. The importance of eco-friendly diversity has been noted and this is why forest institutes in the region promote the learning and discovery of new species with an emphasis on the preservation of existing ones. The snow-capped peaks of the mountains that surround this region make a profound impression, connecting the spirits of man the mountains. The beauty of Uttarakhand is said by many to be unsurpassed where mountains and valleys, birds and animals all come together to mingle in delightful synchronicity.